Whether you're after an on-trend Tee or a slob out Sweater check out IWOOT's exclusive clothing brand full of your everyday essentials. The people at IWOOT spend a lot of their time searching out the best gifts, gadgets and electrical items from around the world, ready for you to treat someone you love. With seasonal gifts, birthday prezzies, and romantic offerings, IWOOT have got you covered - and they can help you out with more than a few other events, too. Whether you're shopping for your mum who wants a vase, your brother who's a Doctor Who fan, or your dad, who never has a clue what he wants, you'll be able to find the perfect gift for everyone. Stuck for a gift idea? Shop online today! Add IWOOT to your Favourites list and be the first to know every time they have a Sale on! 1st January 2018 - IWOOT New Years Day sales for 2018. 7th May 2018 - IWOOT Early May Bank Holiday sales for 2018, add to your diary now! July 2018 - IWOOT Summer 2018 sales, joining us? 23rd November 2018 - IWOOT Black Friday sales in 2018 start on Friday 24th November. Add products from IWOOT to your Love Sales list. Get the Love Sales button now! IWOOT Cyber Monday Event is now on across selected items! Shop now and grab a bargain! IWOOT Black Friday Event is now on across selected items! Shop now and grab a bargain! IWOOT January Sale 10% off board games! perfect to bring the family together! Fancy getting some wierd and wacky presents this new years. 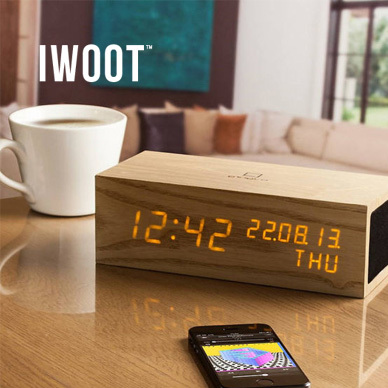 IWOOT have got you covered, with 70% off on a wide range of gifts.